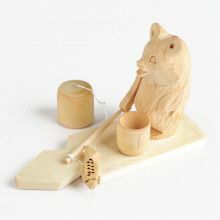 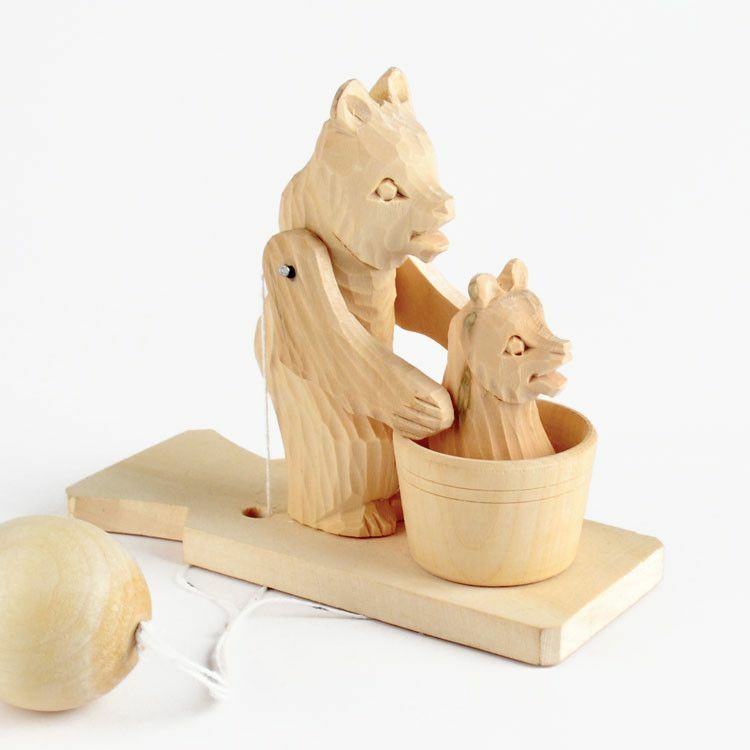 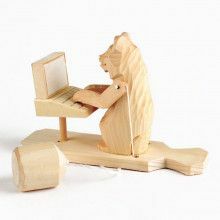 When someone holds onto this wooden toy and begins to move their hand in a circular motion, the mama bear's arms move up and down, as she scrubs her baby bear cub. 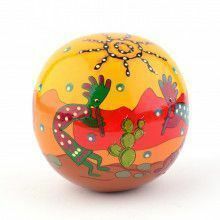 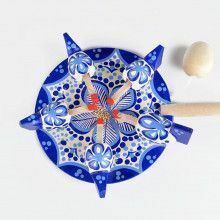 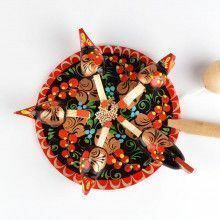 What fun folk art! 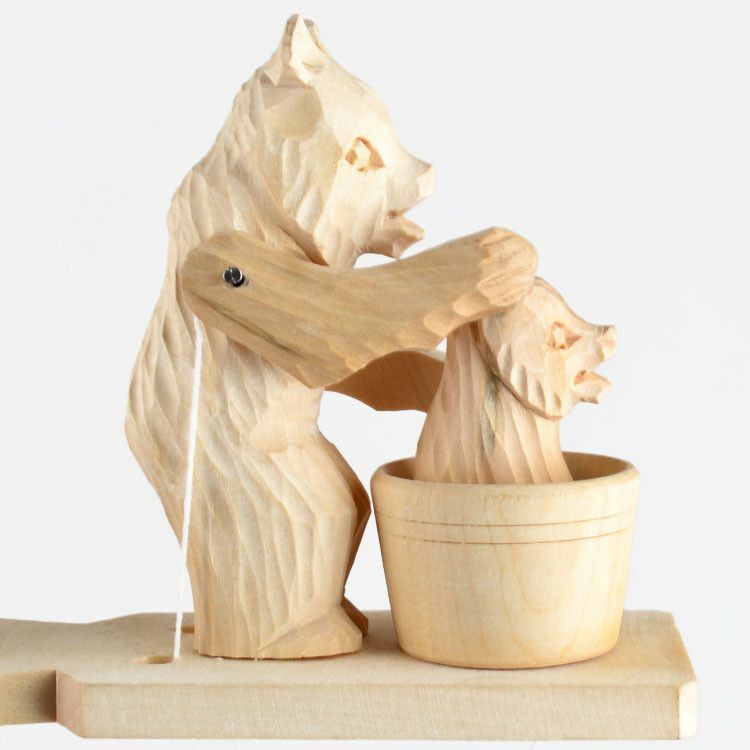 Hand carved in Russia and shipped directly to us.